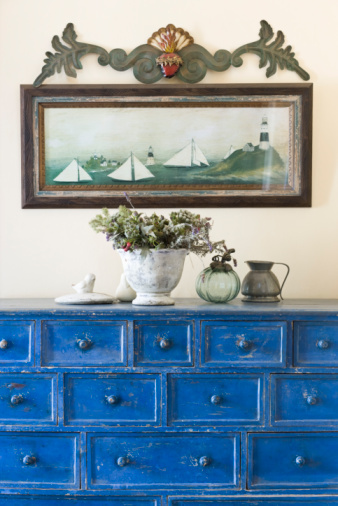 There's nothing like turning an old piece of furniture into something beautiful to lift your spirits. Trying to decide on a painting technique will be the most difficult part, because there are hundreds of options. In addition to new techniques there are new paint, plaster and glaze products on the market every year, giving you more ways to let your creativity shine. 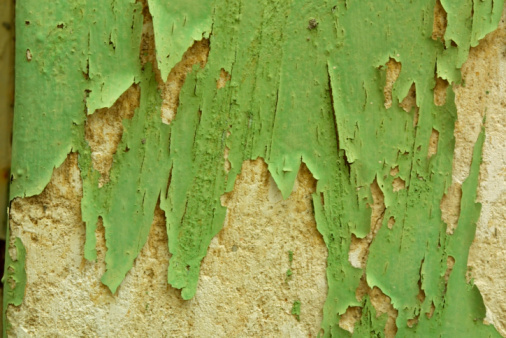 Metallic paints have now come into mainstream paint stores and offer rich patina as standalone finishes or in combination with other techniques. Silver metallic paint is a contemporary look that will live well in a modern home. Clean your piece of furniture to remove dirt, oil or grime. If your item has drawers, take them out and clean thoroughly. 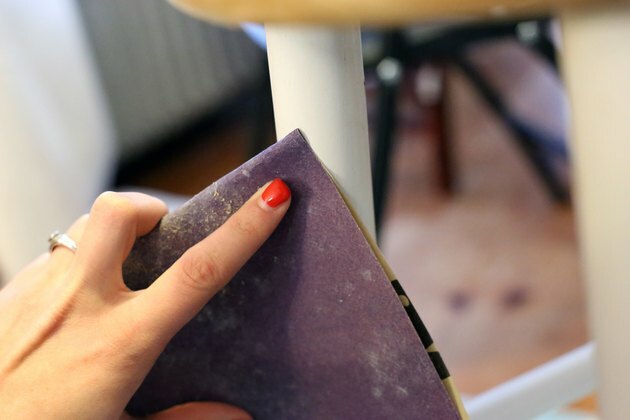 Sand your furniture with an electric sander or by hand, using a fine-grit sandpaper. Wipe it down with a damp rag to get rid of dust. If your furniture has ridges and areas that are difficult to sand, use liquid sandpaper. No need to dust after applying liquid sandpaper. 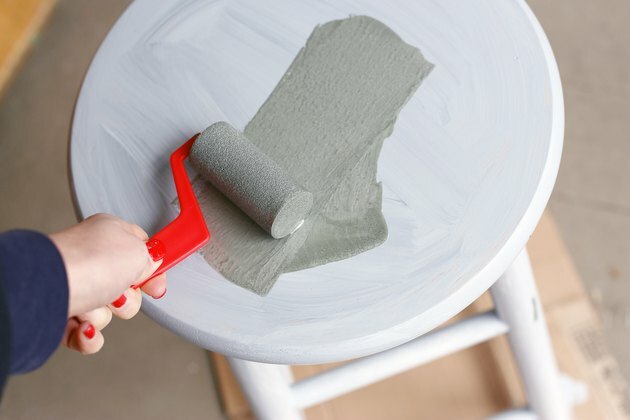 Paint your item with the gray primer. Use a roller on large surfaces and an angled brush for smaller areas. Let it dry at least 30 minutes. 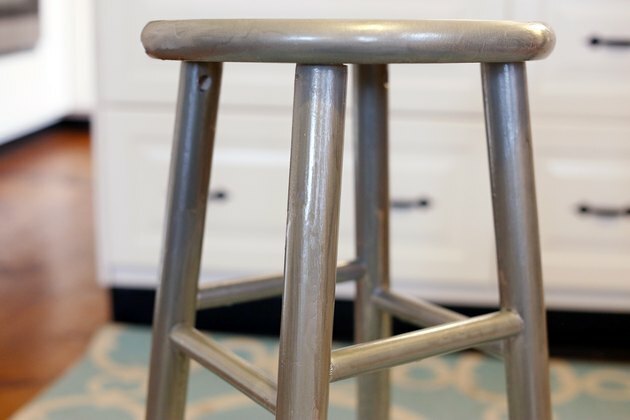 Use steel wool to lightly rough up the surface before applying a second coat of gray primer paint. 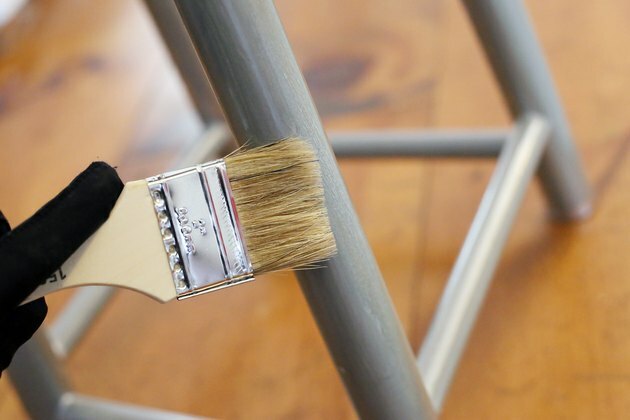 Use a roller to apply the metallic paint in order to achieve the smoothest surface. Roll the paint in one direction, lift the roller and, overlapping about an inch, roll the next portion. Let the paint dry two or three hours and then apply a second coat. 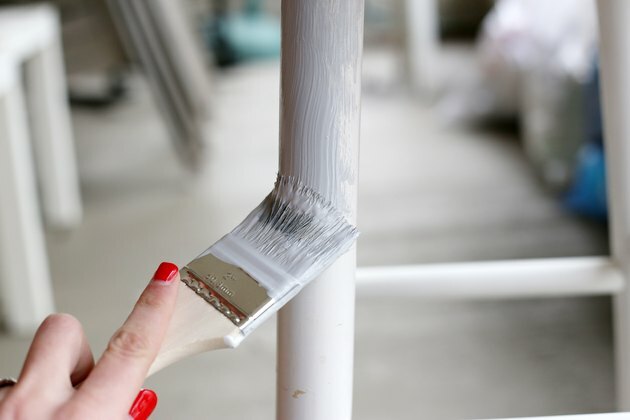 Apply a coat of polyurethane with a natural bristle sash brush. Let it dry. Use steel wool to very lightly sand the surface. Wipe it with a dry rag and apply a second coat. This will protect your metallic paint.